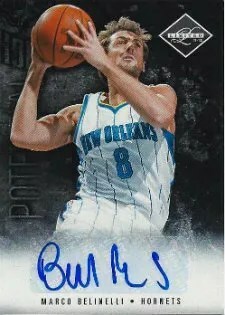 2011-12 Panini Limited Basketball will be one of only a few releases this year by the Dallas card company because of the shortened NBA season. Basketball card collectors looking for their first look at new rookie cards for the likes of Kyrie Irving, Kemba Walker, Marshon Brooks and others will get their chance with Limited….. sort of…… Inside each box of 11-12 Panini Limited will be a redemption card for an autograph rookie card from the 2011-12 NBA season. There is word that these cards won’t be redeemed until November at the earliest because Panini will attempt to acquire the auto’s for those players during the off-season. Panini has a partnership already with Kyrie Irving and you can expect to see redemptions for his and other RC’s in Limited, Panini Past & Present, as well as Gold Standard. There will be no ‘base’ rookie cards of 11-12 NBA rookies in Limited. 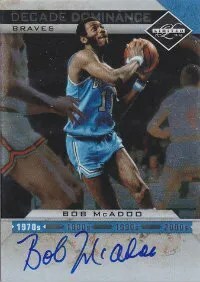 Panini decided to go with redemptions for ‘XRC’ cards and then put a full lineup of rookies in next years 2012-13 products that will include both the 11-12 and 12-13 draft classes in the sets. Next year could be an explosive year for basketball cards if you enjoy rookies. 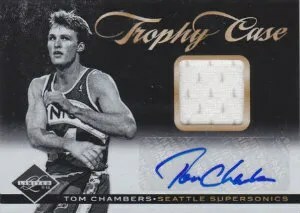 You can expect to see a plethora of veteran autographs in Limited as you saw in already released 2011-12 NBA Hoops and 11-12 Panini Preferred.